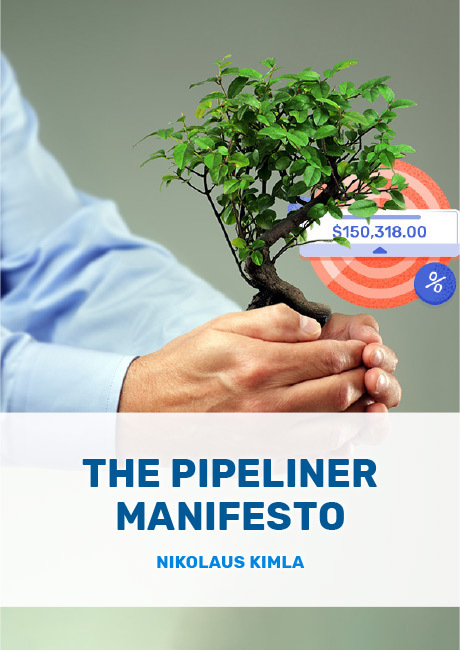 The philosophy underlying Pipeliner CRM is based on the Austrian School of Economic thought, as well as the work of renowned management consultants Peter Drucker and Fredmund Malik. Central to all of their thinking—and in fact central to any economic or management model—is the entrepreneur. An entrepreneur sees opportunities others miss, and has the ingenuity to seize and exploit them to the benefit of the market community. An entrepreneur carefully weighs the risk versus the opportunity, and acts accordingly. An entrepreneur would far rather create their own livelihood rather than take a fixed-income job. 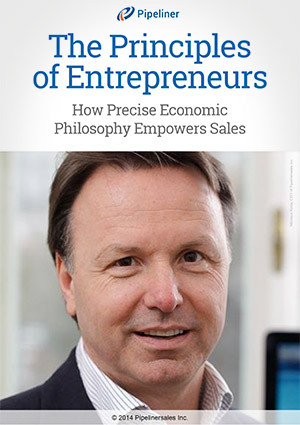 Salespeople share many qualities in common with entrepreneurs. Salespeople prefer making their own financial paths and are paid on commission. They have an alertness for opportunity that others don’t have. The salesperson has the same kind of ingenuity as an entrepreneur, to take advantage of such opportunities. They have an innate instinct for weighing risk versus reward. A salespreneur acts as a “mirror of the field,” constantly gathering and feeding back data to their company from customers and prospects. In this way the salespreneur actively contributes to the future of their company and the industry. Salespreneurs are always on the lookout for new opportunities, whether or not the task of lead generation falls within their job description. They follow up tips dropped from customers; they prospect on social media; they are constantly creating future income for themselves, in addition to leads their companies might be feeding them. A salespreneur envisions every opportunity from the standpoint of a win-win: The customer wins, so the salespreneur wins. Not only does this mean a profitable, ongoing relationship with the buyer, but it means the buyer recommends the salespreneur to others. This is factually the only way a salesperson can succeed in a networked society such as ours: reputation is everything. Salespreneurs best succeed through altruism. Since salespeople are generally viewed as greedy, this may seem counterintuitive. But it is anything but. To the degree the salespreneur cares less about personal gain and more about the buyer, the better that deal is going to go, the happier the customer will be, and the more willing that buyer will be to recommend that salespreneur for future business. Can you imagine how much more efficient your company would become if every member of your sales force behaved in the ways we are describing above? A core part of our mission at Pipeliner CRM is to help bring this about. 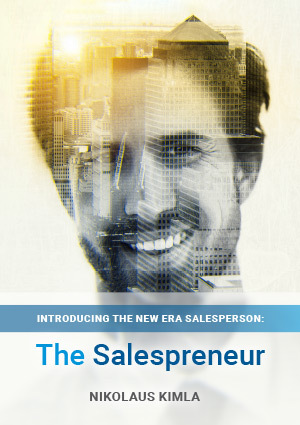 Welcome to the age of the salespreneur. Find out how Pipeliner CRM can help empower your salespeople to be salespreneurs. Download your free trial now. What a salesperson must be to survive in the 21st century? This white paper answers that question fully.